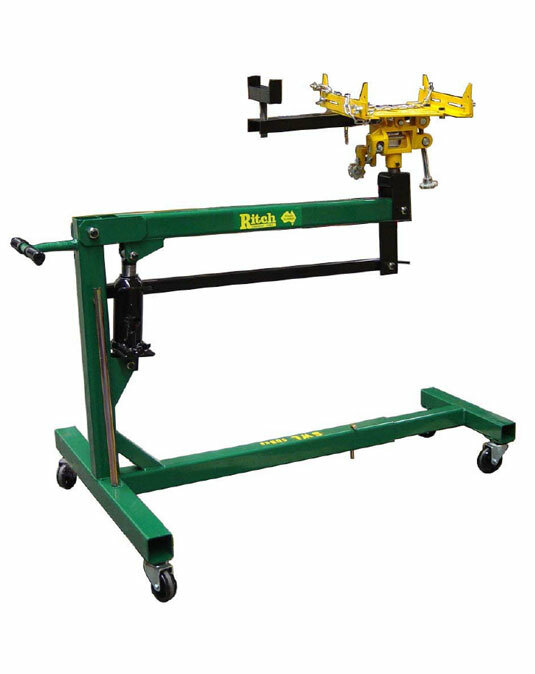 The RitchTM REN6-500A can be used for under hoist removal of most transmission and gear boxes along with transfer cases on 4 wheel drive vehicles. Large 4 way tilting table complete with adjustable rails and fingers. Suits 4WD transmissions fitted with or without transfer cases. Suitable for engines and transmissions for mid mount vehicles. The length of the base is adjustable for extra stability. The cradle has two way tilt adjustment and is fitted with a safety chain. Powered by a 10,000kg Masada jack. Parts and service available Australia wide.